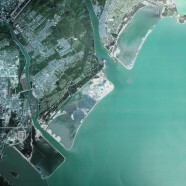 The Shantou New East Coastal Area is regarded as an important function area for future Shantou. 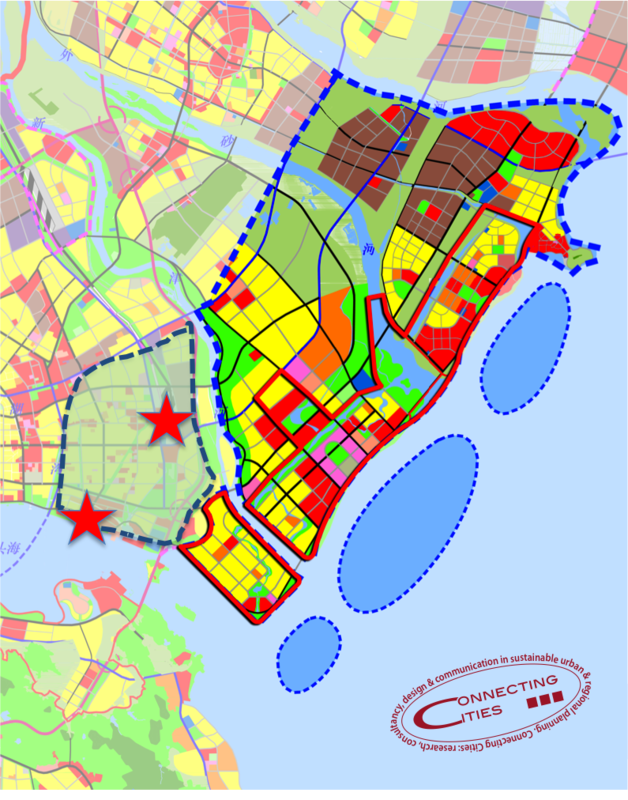 The development of this area is designated as an engine for this new round of urbanization of the city and should turn this area into a place to demonstrate the identity of Shantou. Planning and construction of this area will also transform the city from an inner bay city to an outer gulf coastal city. The City of Shantou invited three renowned urban planning and design teams from Europe (KuiperCompagnons & Paul Andreu Architecte Paris), Asia (Ove Arup & Partners) and the USA (NBBJ Architectural Consulting) to participate in the international urban design competition for the Shantou New East Coastal Area. This international competition was hosted by the Shantou Municipal Government, supported by the International Society of City and Regional Planners (ISOCARP), and organised by the Shantou Urban and Rural Planning Bureau, commissioned by the Development and Management Centre of Shantou Eastern Urban Economic Belt and the CCCC (Shantou) East Coast Park Investment Construction co. LTD. The Shantou Urban and Rural Planning Bureau contracted Connecting Cities to organise and manage the international urban design competition from start to finish. ISOCARP, the International Society of City and Regional Planners, supported this urban design competition and was responsible for the jury process. The organisation and process of the international design competition, from initiative to the completion of the jury report, took nine months. 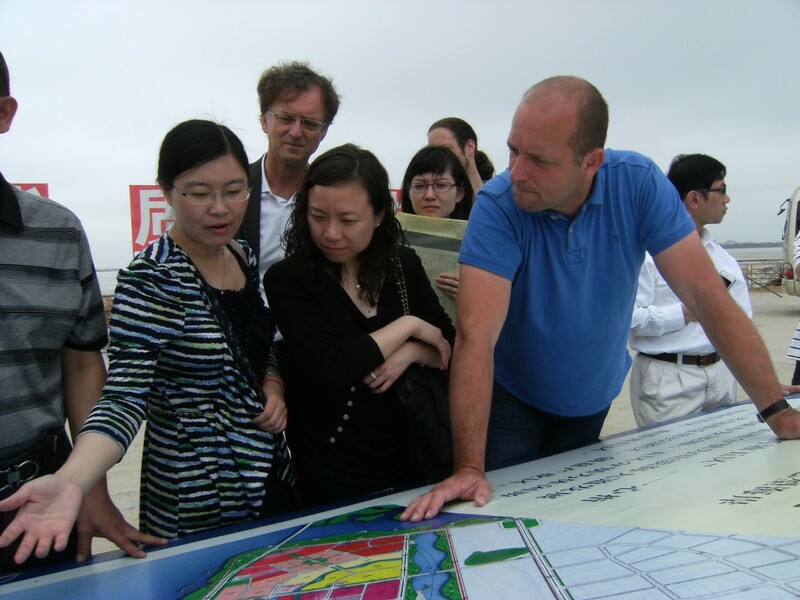 In March 2013 the first ideas about an international urban design competition for the New East Coastal Area were discussed and exchanged between related departments of the Shantou Municipality. Connecting Cities and ISOCARP were asked to help to organise and to support the urban design competition. After consultation, the Shantou Municipality established the aspirations, the planning area, the format, the initial budget and the planning of the competition. From a long list of ten, three renowned international design teams were selected. Each team had won two first prizes in similar and complex competitions on this scale in China in the last few years. The three design teams were approached first informally, by mail and via conversations on Skype, if they would like to consider participating in the international urban design competition. All three pre-selected design teams reacted positively on the invitation to participate. After the accepting the invitation, a dialogue started about the scope of work and the terms of reference with the design teams. This resulted in a brief about the context of the urban design competition, a list of deliverables, a fee and the terms of payment and a clear and feasible planning programme. In this dialogue, the three design teams were invited to contribute with their experience and expertise in order to organise and to prepare a level playing field and a transparent urban design competition. 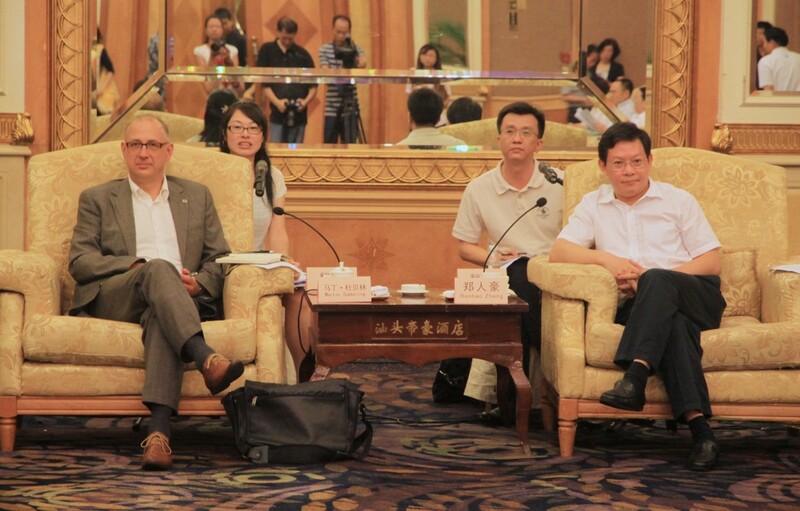 In mid-June, the three design teams were invited to visit Shantou. The design teams were offered a city tour and an extensive visit to the planning area. The design teams were also invited for extensive briefings where questions and answers were exchanged with relevant departments from Shantou. 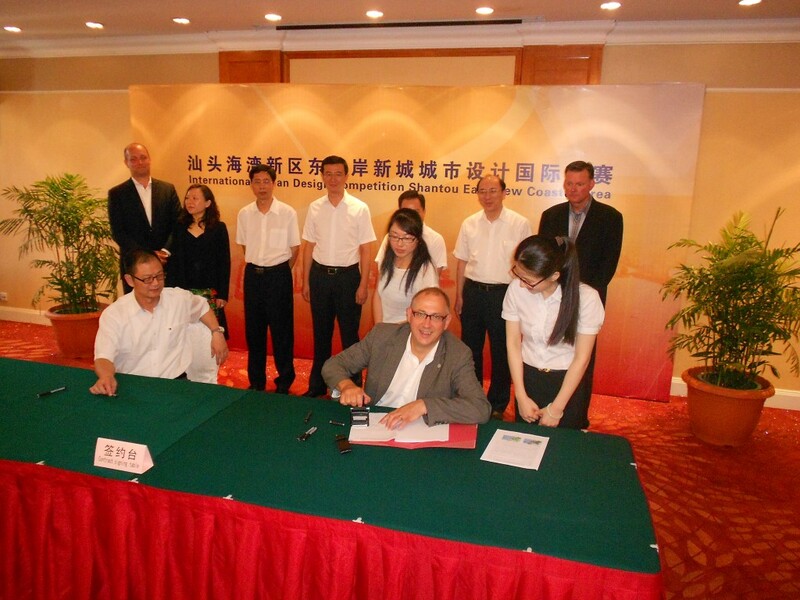 On 18 June 2013, at a formal ceremony, the CCCC (Shantou) East Coast Park Investment Construction Co. LTD and the three design teams signed their contracts for their participation in the international urban design competition for the Shantou New East Coastal Area. The competition now formally started.